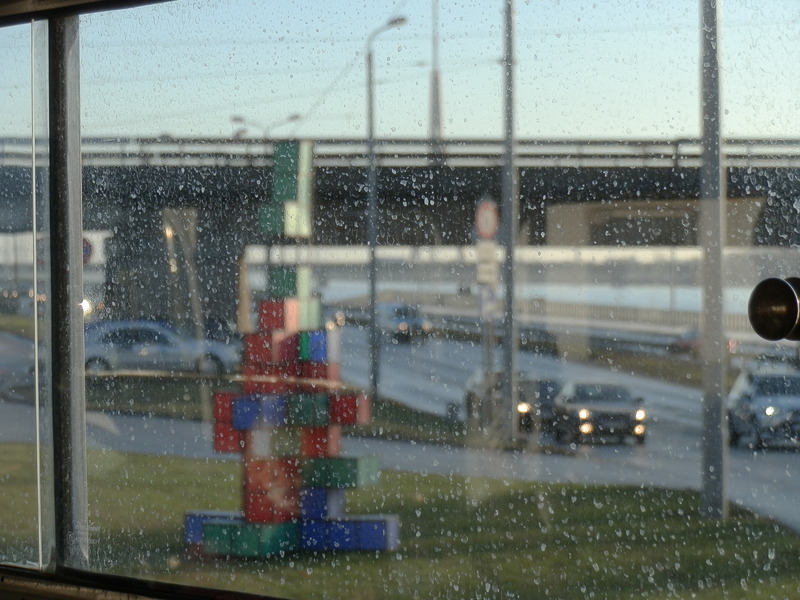 We arrived in Riga on a chilly afternoon of 13th December. Beginning a trip whereby we encountered very different architecture, culture and food from the ones we are used to in London. For the weekend we were there, it was a bit over one week until Christmas. 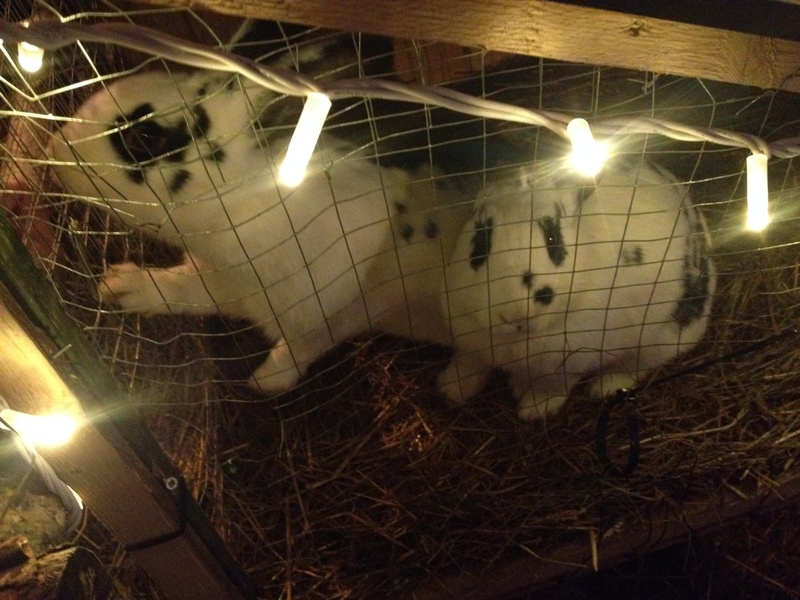 I started to get a sense of what Christmas may be like here. 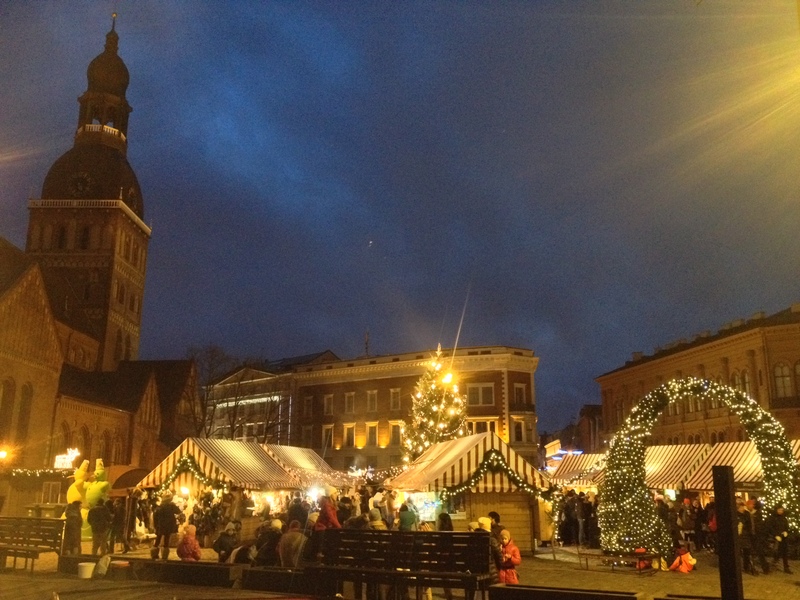 The cosy local Christmas stalls and markets were magical. The picturesque city mixed with a surrounding of old and new colourful buildings, which gave it a rich architectural diversity. This followed with occasional bursts of Russia from the buildings and the winter clothes needed by the locals from the chilly weather. As we walked in and around the city many buildings stood out and were really unique from the next. 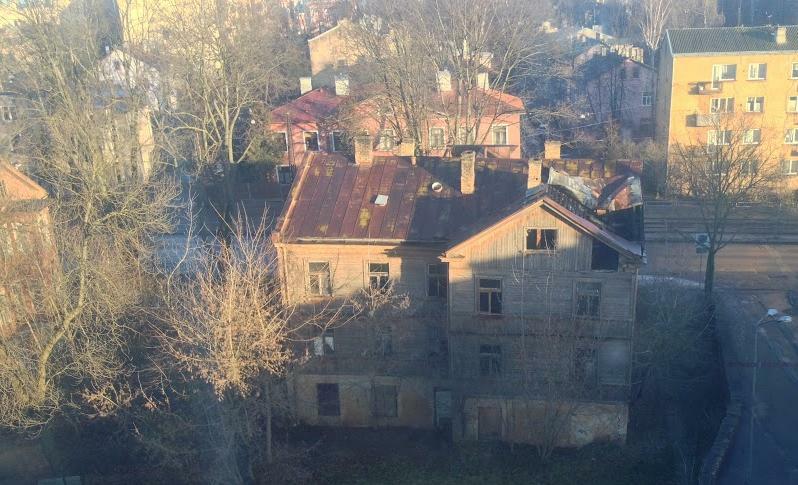 I can now understand why Old Riga is part of a UNESCO World Heritage Site. 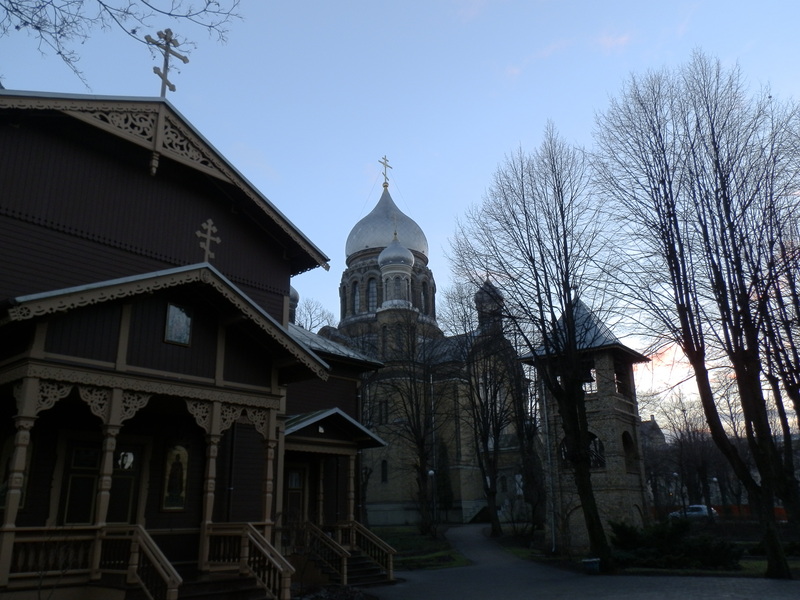 Riga itself offers a mixture of feels varying of medieval times, countries such as Russia and Europe. 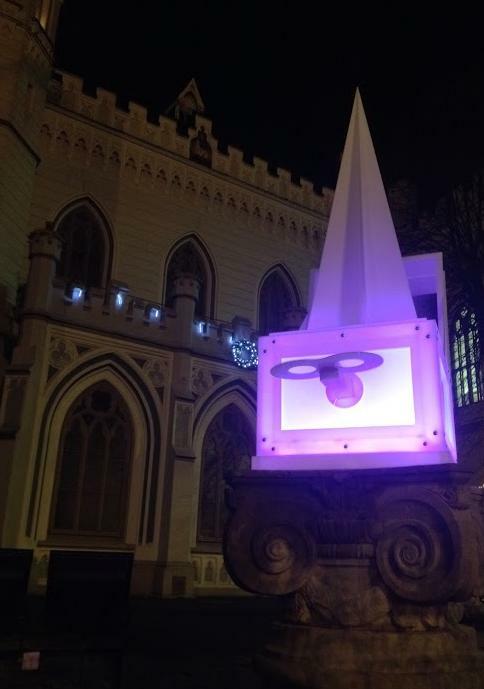 Nevertheless it also incorporates modern life seamlessly into their city. 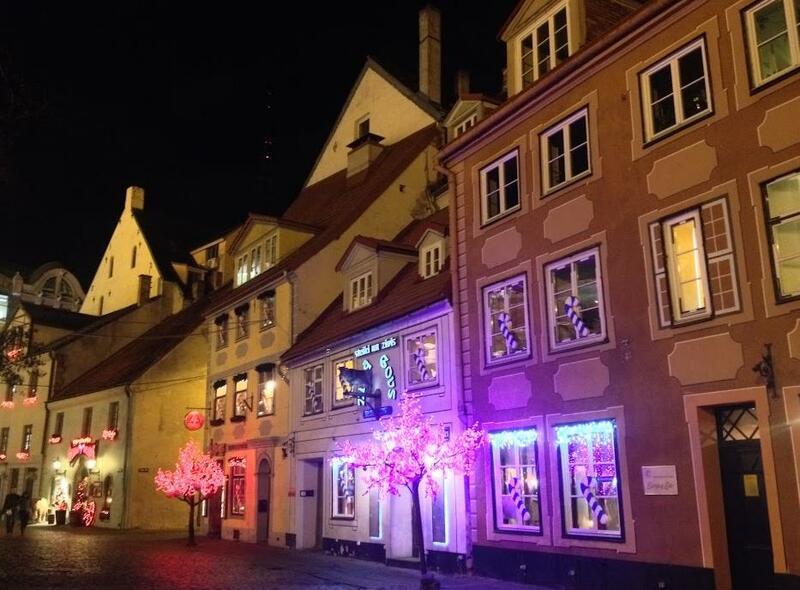 For me the highlight was being there so close to Christmas and to be able to experience their Christmas atmosphere. There were many cosy Christmas stalls and events scattered around town and I liked being able to enjoy them without feeling rushed or surrounded by big crowds of people(which is what it can be like most the time in London – Winterwonder land, South Bank). Here each Christmas gathering is filled with the unmissable smell of mulled wine (karstvīns) and gingerbread (piparkūkas). 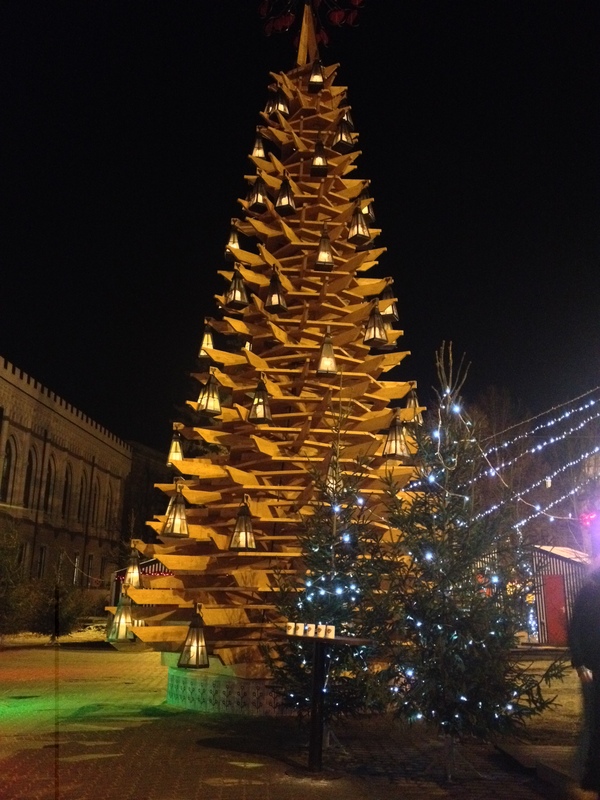 Then there were the beautiful candles, winter garments, amber and silver jewellery and the detailed handcrafted local items ranging from wooden match boxes, kitchenware, furniture, toys…Which gave it all an additional sense of Latvian tradition. 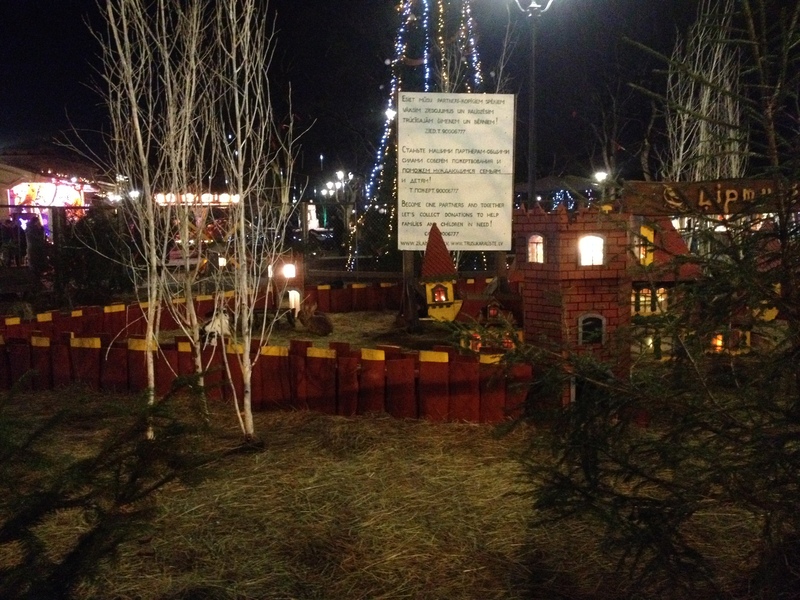 We found about 5 Christmas markets. 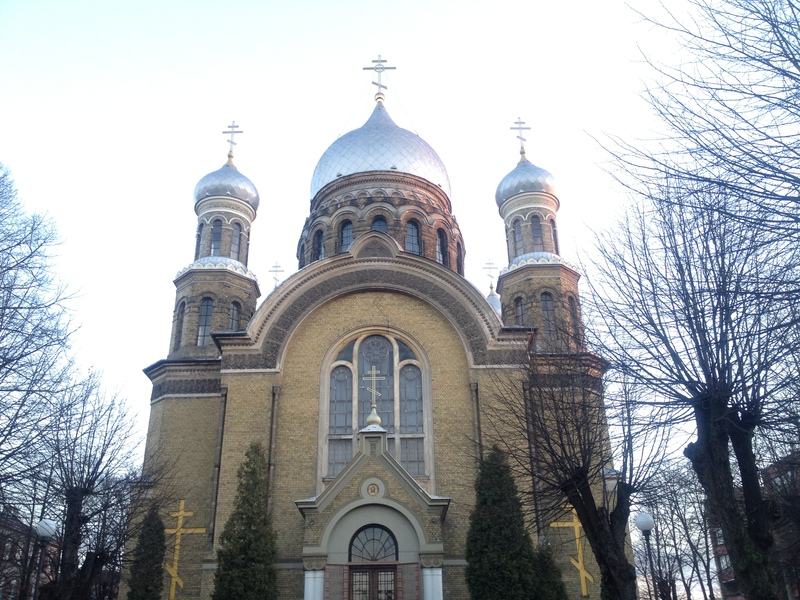 My favourite was one we stumbled upon on our last night here, by the Riga Orthodox Cathedral. This one had about 20 stalls, live music (we briefly heard some Christmas carols as we were walking towards it), a large bunny donation section, a few rides. We made several purchases here: a real leather document holder with the outline of Riga skyscrapers, Christmas tree decoration balls and candle holder. What we found surprising was having the best tasting sweetcorn at one of these Christmas stalls. The sweetcorn was covered in salt, butter and lots of cheese. The final touch added a sense of cleverness and completion – this was a green napkin wrapped at the bottom of the sweetcorn like it was the leaf. I’ve had my fair share of sweetcorns before and must admit this one was by far the best! 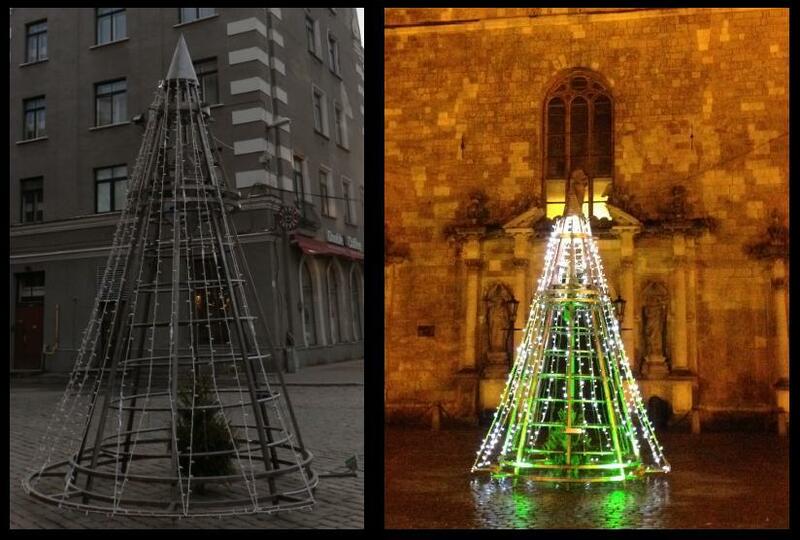 I liked their way of promoting the Christmas spirit through the creative and artistic Christmas trees (Christmas Tree Trail 2014) scattered around the city. I found this provided great visual diversity to the typical traditional Christmas tresses. 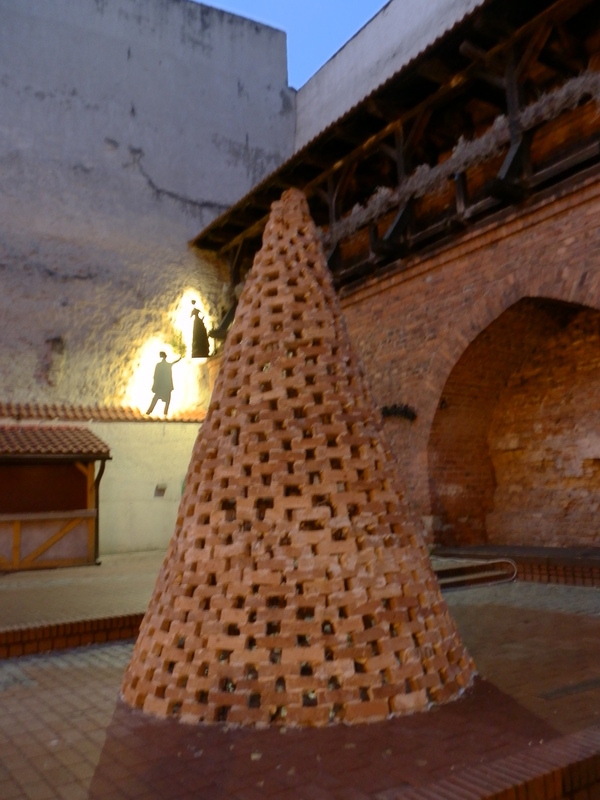 Some of the ones we saw were made of wood, glass, bricks and plastic. We stumbled upon some and I have provided a collage of them mixed with some other Christmas themed items we saw along the way. Hope you like them. I personally found this as being one of the most splendid buildings I saw in Riga. As a lover of watches and clocks this was unmissable. The decorative details on it adds class. 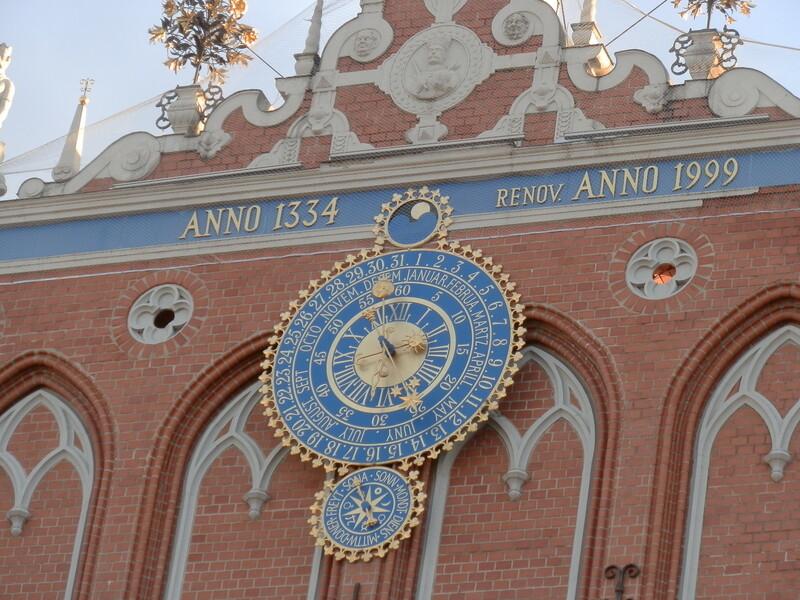 The intricate details on this Astronomical clock showing the date, month and time was a pleasure to observe. The reason why the building looks so new and untainted is because the current reconstruction was erected in 1995 to 1999. The original was bombed by the Germans in WWII and then further destroyed by the Soviets in 1948. The Town hall square is surrounded by cobble streets. I have always been a fan of cobbled streets there is something about it which subconsciously feels like I have been transported back in time to when walking on street was like this. Is a very gothic style church standing tall and dominating Riga’s skies. 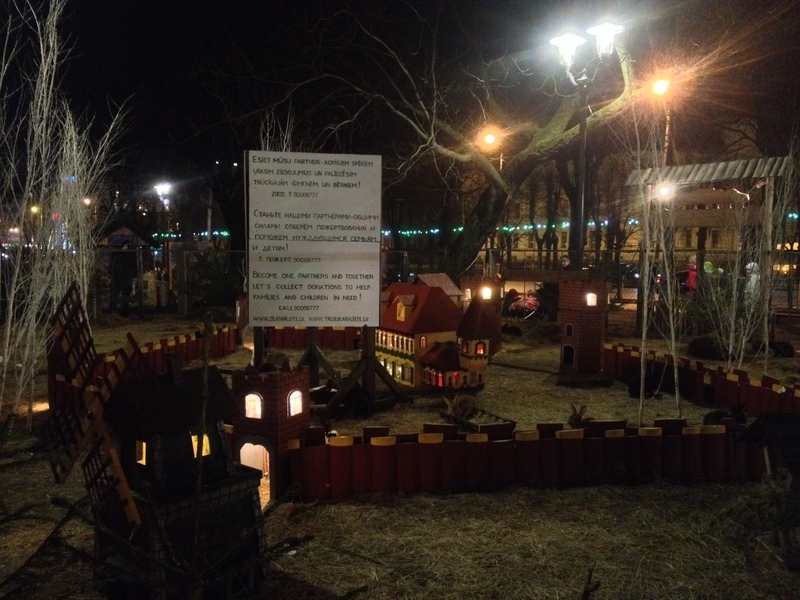 We stumbled into a nice park which happened to be close to the Freedom Monument. The day we were there it was rather cold that a part of the canal in the park was semi frozen as you can see below. 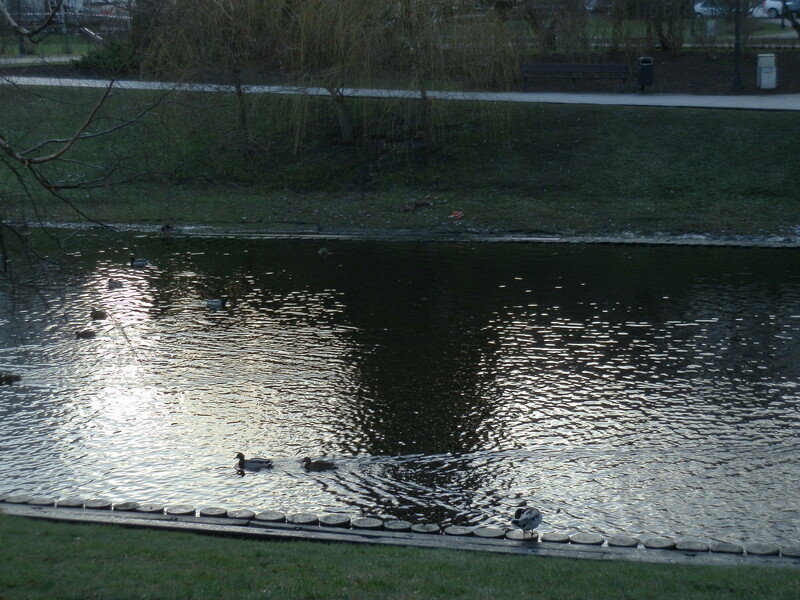 There were lots of cute birds in the park and happy kids feeding them. 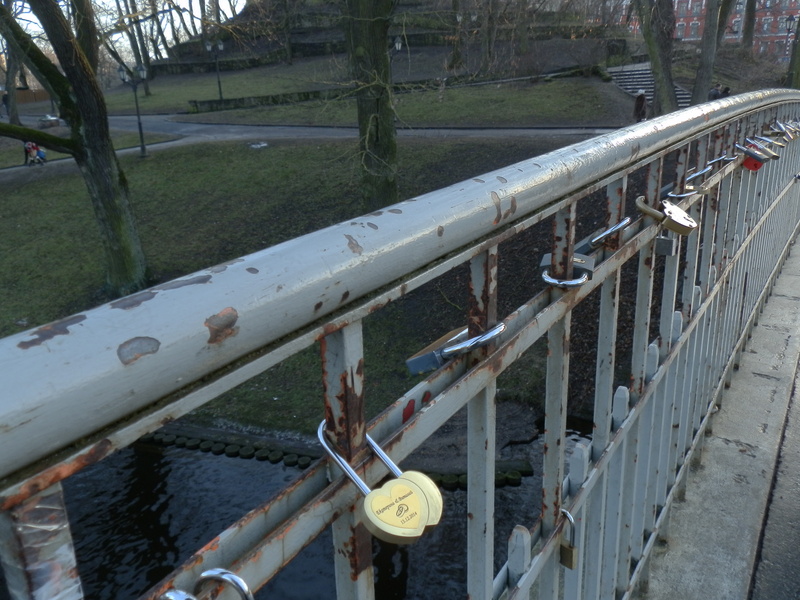 Along the way we noticed that the trend of padlocks on bridges was catching on here as well. 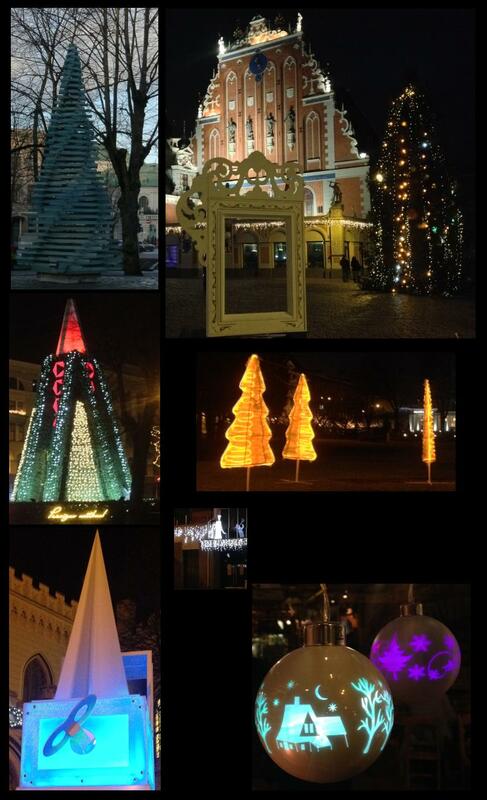 It wasn’t as many as the ones I saw in Paris, Luxembourg and Budapest but nevertheless it was nice to see them there. 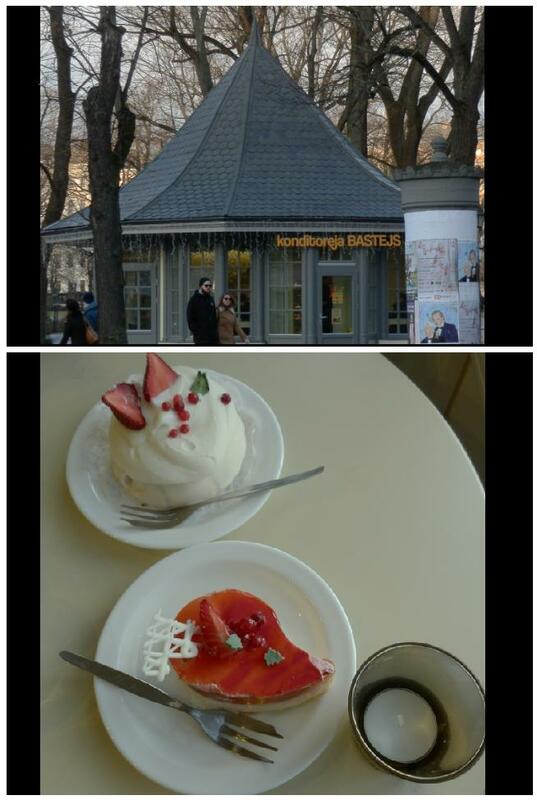 As we walked towards the end of the park we saw an adorable looking café (Konditoreja) and through the window we could see the warmth and yummy pastries. So we wandered in and weren’t disappointed. There were a large variety of pastries and warm beverages (tea, coffee, latte, cappuccino). 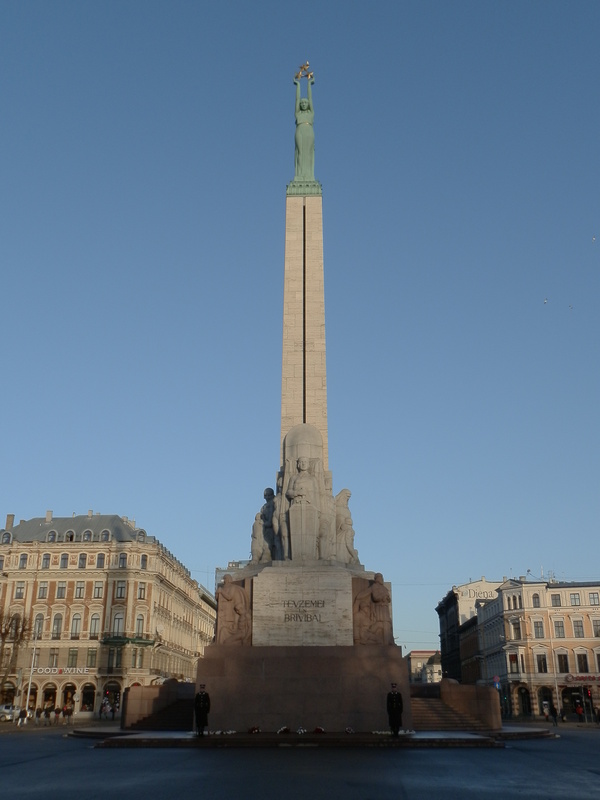 This 42metre high monument is a memorial honouring soldiers killed during the Latvian War of Independence (1918–1920). You instantly get a feel of the importance of this monument to the Latvian people, the surrounding and memorial is untainted, nicely maintained with fresh flowers at the base. In addition standing guard are two solders. 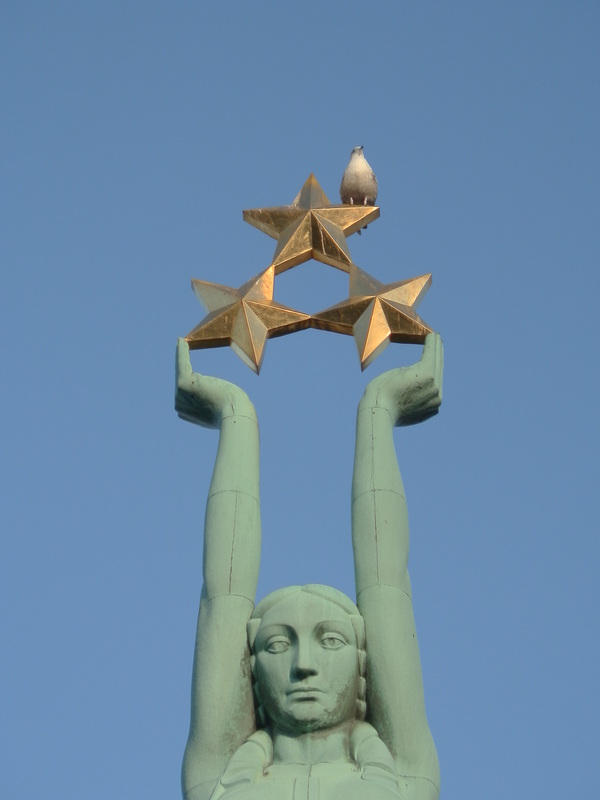 The freedom monument is a woman standing tall and holding three stars in her hands. Each representing historical regions of the country: Kurzeme, Vidzeme and Latgale. This dome church appears to be on a much grand scale than that of St Peter’s church. Located a few minutes away from the Freedom Monument, when you encounter this you will recognise it straight away. It looks very new and inside it is really grand. I highly recommend visiting Central Market; here you get a feel of what it is like to be a local instead of a tourist. Inside the pavilion halls, it is quite busy but you instantly feel like a local surrounded by different visuals and a variety of tasty smell. You can buy lots of fresh products ranging from fruits, vegetables, dairy, cheese, sweets, fish, sausages, meat…Along with lots of yummy pastries, wine, day to day items and clothes. The prices seem very reasonable; the pastries were very cheap, it was a delight to taste them. 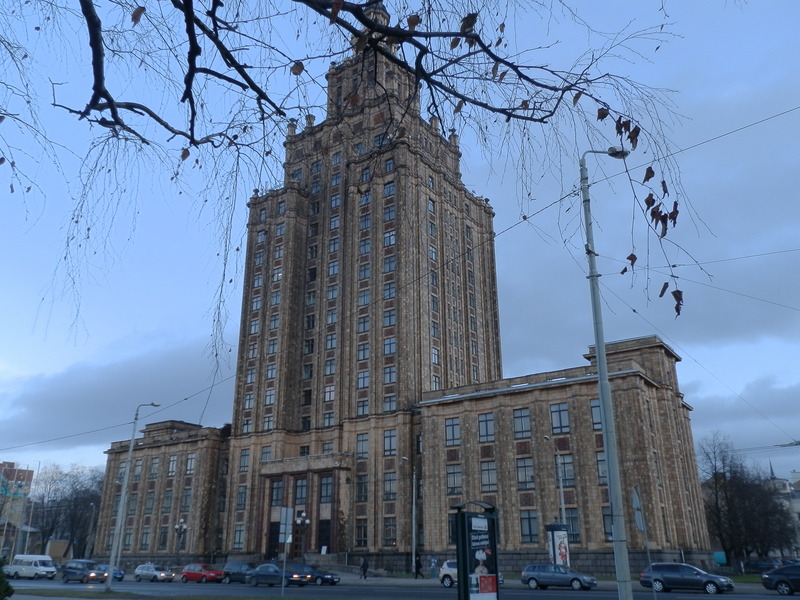 A few minutes away from Central Market there is a building that stands 65metres tall, reminding the city of its Soviet past – Latvian Academy of Sciences. The height and scale of this building gives it a strong sense of power and importance. Apparently the view from the 17th-floor balcony is worth seeing. Unfortunately we didn’t go up there, but if you go probably best to see the view from the top. This eye catching building looks somewhat futuristic. 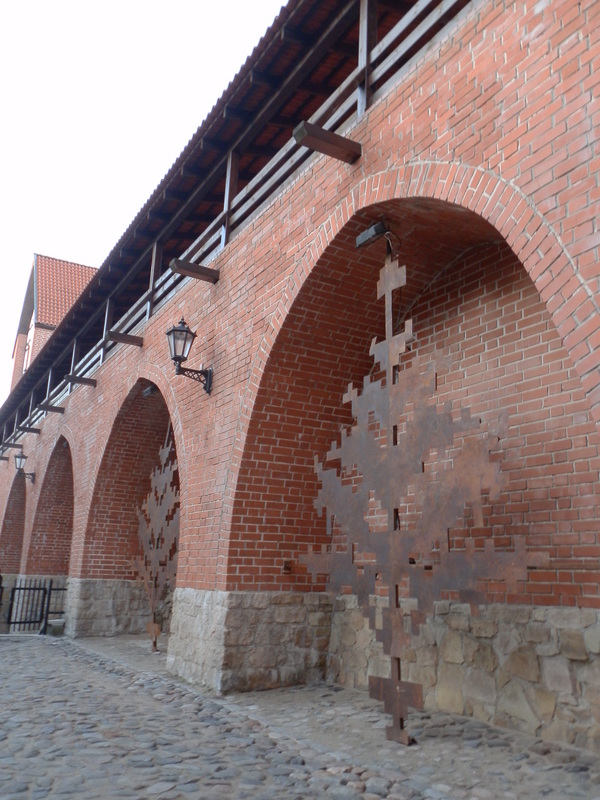 Its suppose to symbolise culture, scientific heritage, education, the development of knowledge and the quality of life of Latvia. This is a very important building to them and how they want the world to see them. 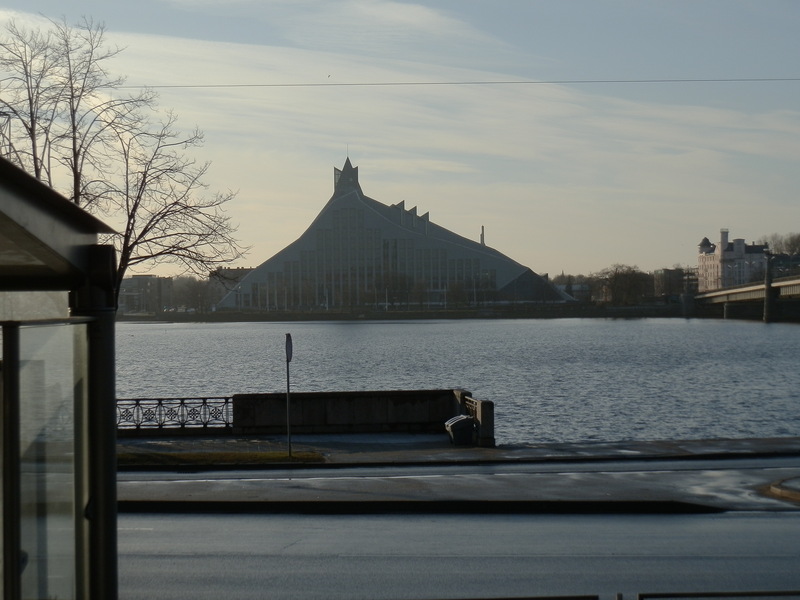 The hotel we stayed at for the weekend was the Maritim Park Hotel, situated only by a short walking distant to the National Library of Latvia and a 5-10minutes tram journey into old town. 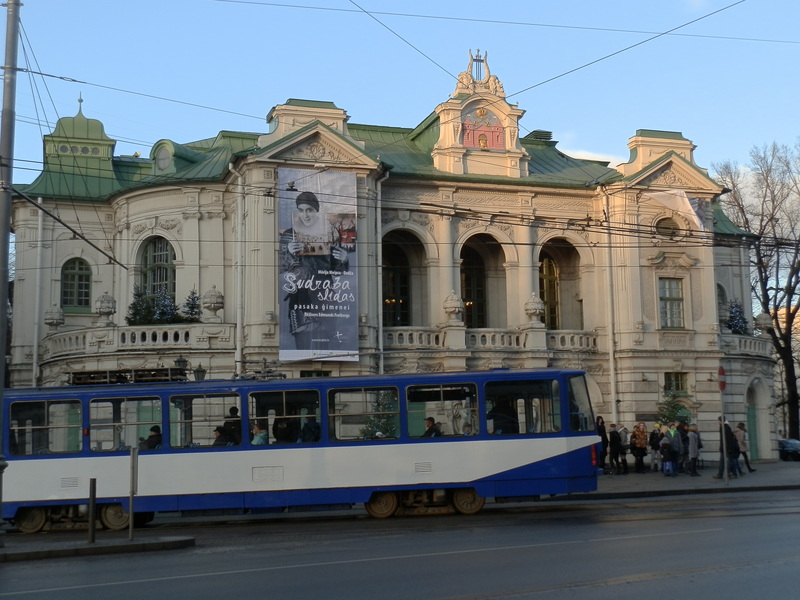 The hotel’s location is very convenient as a tram and bus stop is just outside the hotel. As it is not based in the heart of centre I got a local feel of the surroundings. There are a range of different kinds of view, from ground level there is this rather worn out house opposite but then if you went to the top floor where the restaurant is the view is amazing. We saw the night view of Riga from here and it was like the whole city light up, definitely worth doing if you stay at this hotel. There are 231 rooms (7 floors). -A lot of facilities within the hotel: restaurant, shops, spa, hair salon, souvenir shop and 24 hour reception. 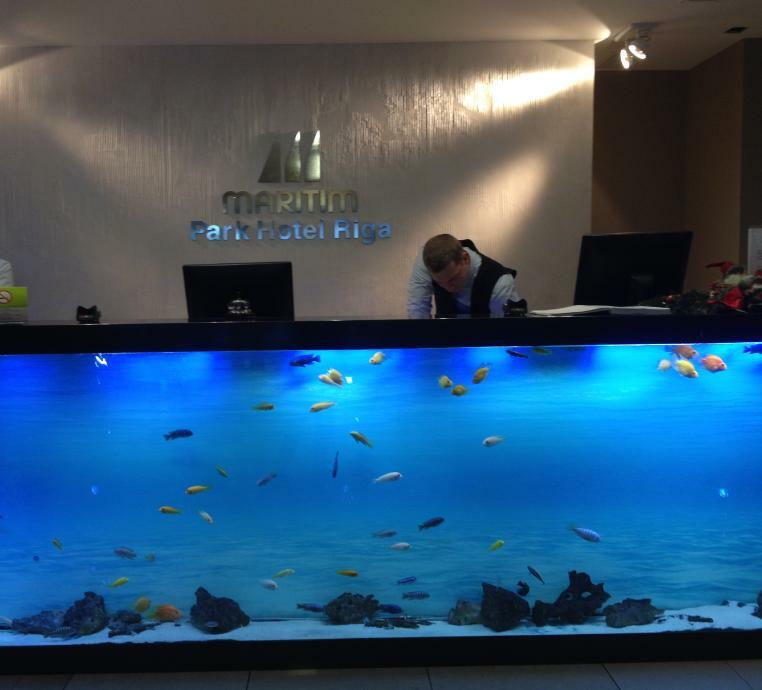 -Hotel staff members were very friendly, pleasant and helpful. They were efficient and spoke English well. We managed to buy tram tickets at the reception desk and they helped us book a taxi as well. They also provided us with maps and detailed information about the area and attractions. – Interesting lift which was transparent. This lift is on the right side of the main lift. We found it a bit slower than the main lift; however you feel so much more free and will have a more interesting view from this lift…..
-Full hot breakfast is served 6.30 to 10.30 which is very flexible timing and a wide range food and beverages. -The room we stayed in was very clean. We thoroughly enjoyed our stay here. 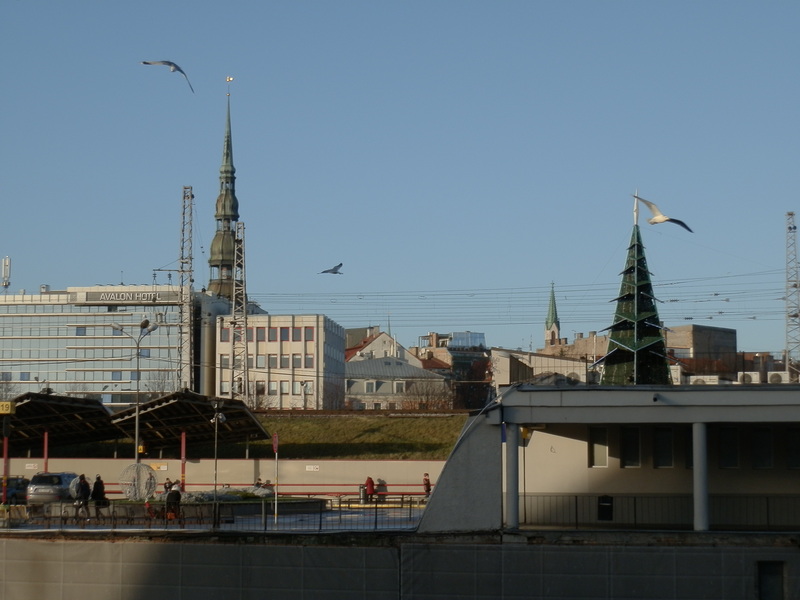 -I had wondered why there were roosters on top of some Christmas trees in Riga instead of say a star or cross. 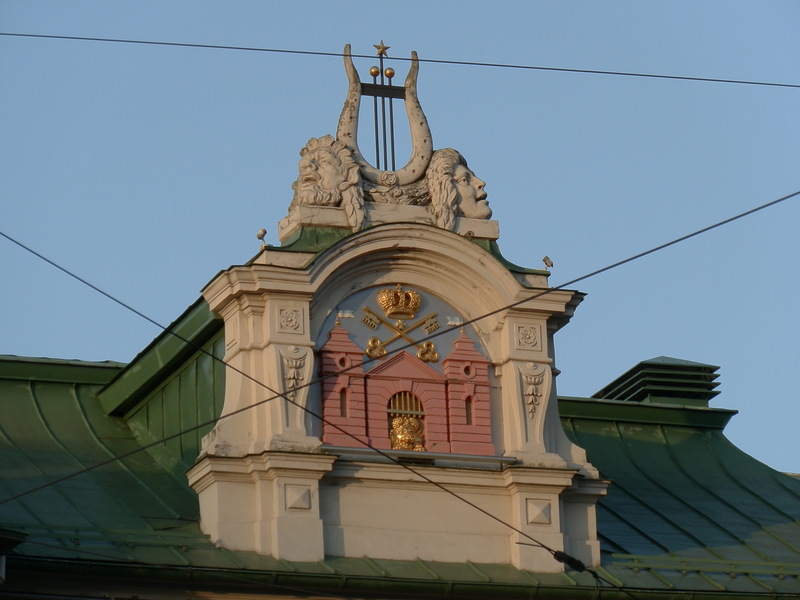 It turns out that Rooster is one of the symbols of Riga, and when you see roosters on top of roofs it is not only symbolical but it is believed that they are used to defend against evil. Main language here is Latvian, a lot of people also speak Russian. However English is widely spoken by everyone we encountered from the souvenir shop to the local markets in central market. As always when I am on holiday I tend to enjoy wandering around on foot, because I get a greater feel of the city, the people, the atmosphere and the surroundings. It is an observable pace rather than a quick glance at everything from a car/taxi/bus. However I would recommend taking the tram a few times if you are here. 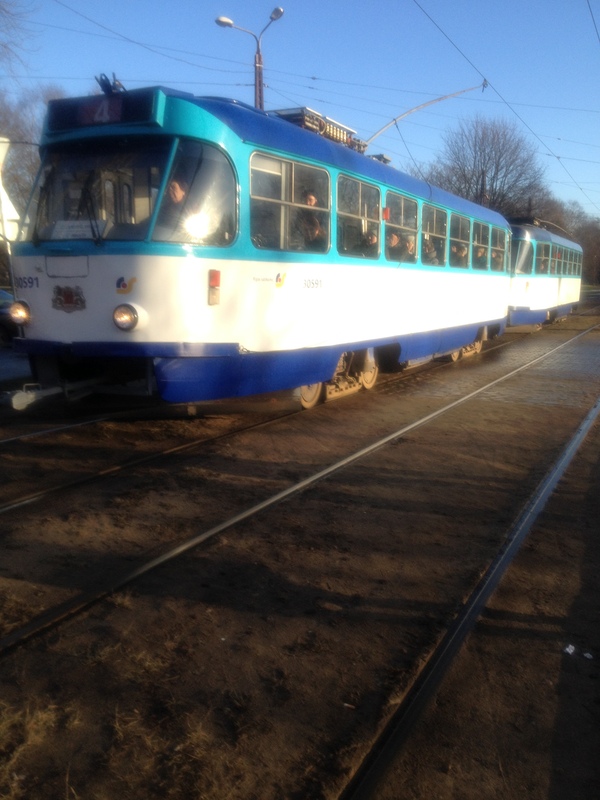 It is like getting transported back a few years; quite a few of their local trams are still quite old. Further into the city you will see brand new ones. However it is fun trying out both. Wanderer’s discovery ( As previously mentioned in other travel posts, I enjoy wandering of the usual path sometimes to see other stuff which may not be on the top 10/20 must visit of a place). 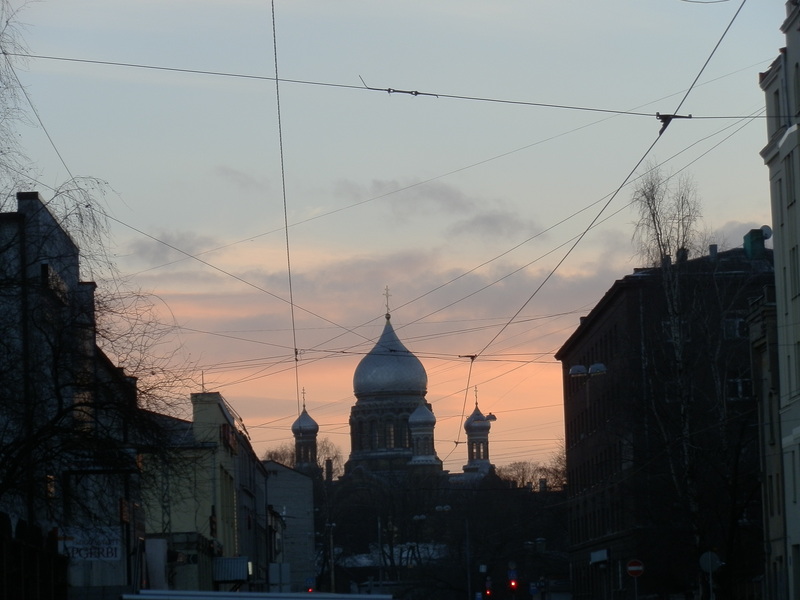 On this trip we went on the tram number 6 and went out of old town, into local areas and randomly got off at a stop and walked around for 10-15minutes and saw the below sunset and scenery. We also came across this church but wasn’t able to find the name of it. However we both thought it was very unique and pretty. So were the houses around the area. 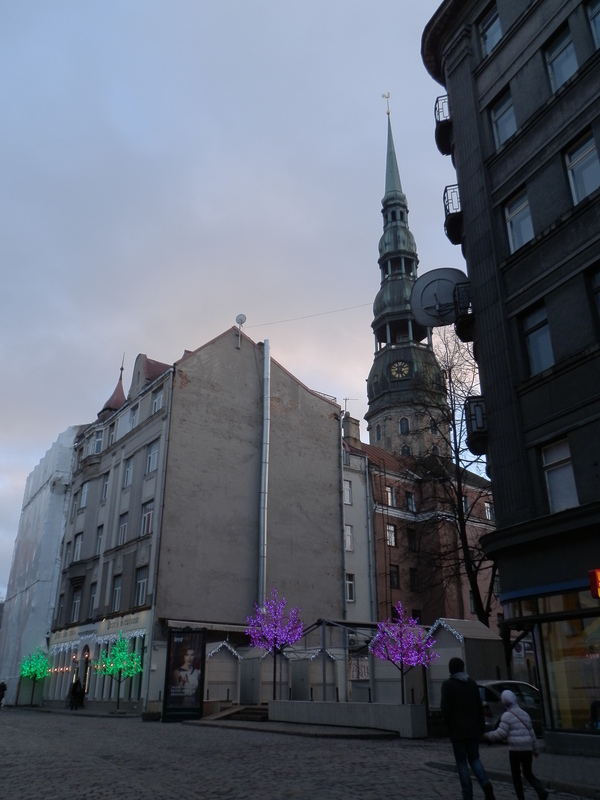 Our first visit and experience to Riga was extremely pleasant and fun, I really enjoyed the Christmas atmosphere and the friendly people. The pastries and cakes here were also delightful. It has been an unforgettable experience. I came across this really sad and moving article today, which pulled on my heart strings. 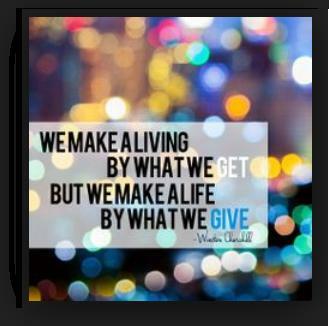 I felt that it was only right to share it and also donate so that more people would read, know and help. Please spread the word and donate too. Let’s try and make his time on Earth less worrying so he can spend more quality time with his daughter/family. And for her to have a better chance in life even if she is without her father. 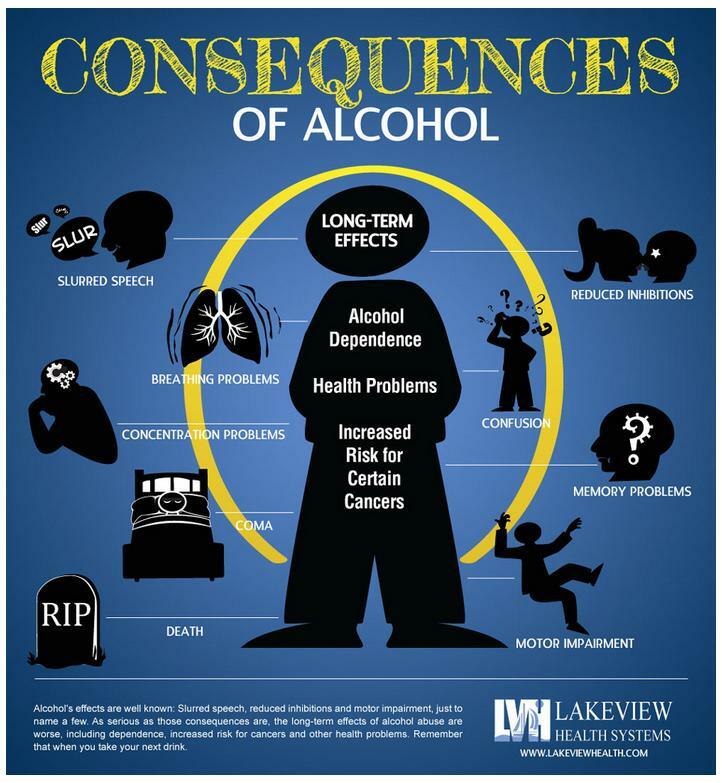 Tips and information on the consumption of alcohol. I’m often curious about the association between people and alcohol. Maybe it is because it is something that doesn’t really agree with my body. Whether I like that or not. It is pretty much the way it is. Majority of people love drinking. It is the social norm and acceptance. In some cases the more you drink the more popular or “cooler” you will appear to your peers. I get and understand that drinking usually brings people together. At times it makes them feel more free and provides them with more confidences so that they can behavior in ways that they may not usually do. As for me, I highly prefer knowing what I am doing and having control of my actions, as I am very aware of one mistake can mess up a lot and I don’t want to be that person at all. For some it is an excuse to behave badly and they can simply say “I am or was drunk.” What worries me is that in society today we are use to the concept of drinking a lot, it is a common and a regular occurrence. 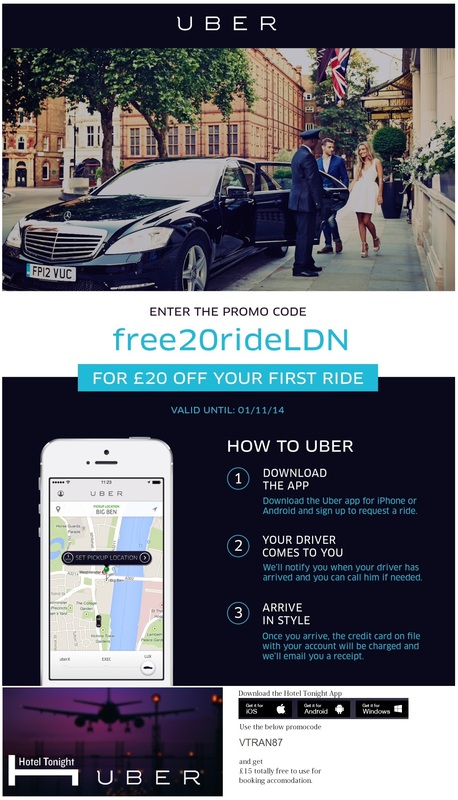 It is heavily promoted at uni and even at work places. Most people just drink for those moments – the good feeling they get for the first few hours. Lets take a step back to basic……Back to school. I remember from my school days that they told us that drinking was bad I am not sure when along the lines it became something that we must participant in like a school exam. (properly the start of uni). To be honest I don’t remember much of what they taught me about alcohol at school. But from the top of my head, I just remember that they said it was a stimulate that influenced people’s reaction,judgement and body. So don’t drive and drink! I think what they forgot to teach us in depth was the long term effects of drinking. This lead me onto another article which gave me a much deeper insight into the effect of drinking alcohol. I have pasted below some of the text within the article that I found compelling and echoes a deeper message that I believe more people should think about. As I believe many people who drink/drink excessively actually don’t realise the true damage that they are doing to their bodies now but more worryingly the consequences in the future. “It begins with that infamous phrase, “Fancy a drink?”. When the answer is “Yes”, the journey begins with your alcoholic drink slipping past your lips, down your oesophagus and into your stomach, dancing its way around your gastric juices. For those of you drinking a carbonated drink your alcohol will be absorbed faster as the pressure increases inside your stomach, forcing alcohol into your blood stream. This compared to the savvy consumer, who already has a stomach lined with food to curtail absorption. Soon, alcohol is absorbed into your blood stream. The portal vein, connecting your gut to your liver, acts as the super-highway transporting your alcohol, now neatly dissolved in your bloodstream. At the liver, the Mecca of alcohol metabolism – alcohol meets its fate – where it becomes a mere shadow of its former self. The complex alcohol dehydrogenase enzyme pathway breaks down alcohol into safe bi-products of acetate, water and carbon dioxide with ruthless efficiency. Of course, there are limits. Too much alcohol can fast overwhelm your liver’s capacity to metabolise your liquid panacea, and consequently your blood alcohol level rises. 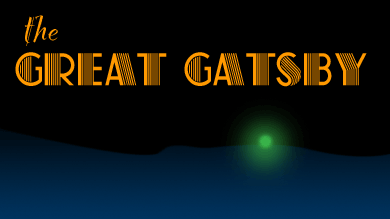 A rising level will have a plethora of effects. However, to give it a fair trial we need to consider both the short and long term. Now if I were the PR rep for alcohol I would highlight that the alcohol in your body (which is currently within safe, recommended limits) is relaxing, aiding social interaction, and even promoting cardiovascular disease prevention. It relaxes you by travelling to your central nervous system where it depresses activity by interfering with chemical neurotransmitter signals, in particular, Gamma-Aminobutryric Acid (GABA). 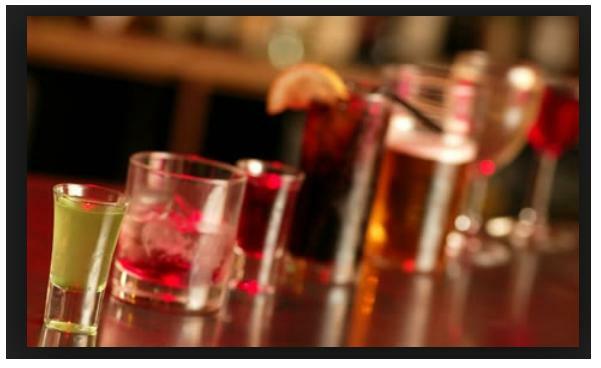 As your alcohol alters these, communication between your brain cells becomes increasingly impaired. We’ve all heard the phrase “I just didn’t know what I was thinking!” Now you have part of the answer! Cardiovascular disease prevention from alcohol is, for many, a prickly chair to sit on, leaving them shifting, uncomfortable at the thought that a drug with such negative effects could be painted in such positive light. It is suggested that safe, moderated levels of alcohol promote your aforementioned relaxation which consequently improves your blood pressure – an established risk factor for vascular disease including heart attacks and strokes. Of course, we are only human. 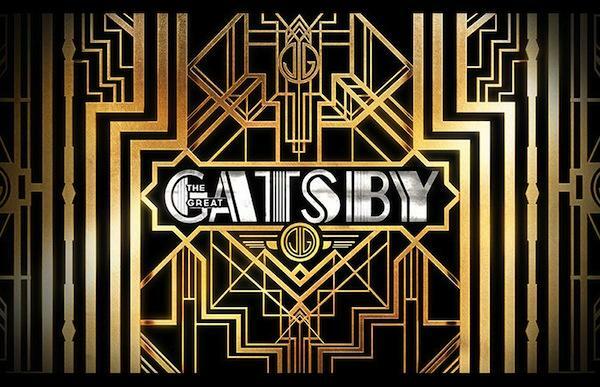 Since your first alcoholic drink touched your lips, many more may have passed, with the assistance of friends, drinks deals, and a wave of excitable disinhibition as your central nervous system becomes increasingly impaired. Your blood alcohol level has now snuck past that happy and euphoric level of 10-30 milligrams per decilitre and you are now slurring your speech, with impaired balance (due to brain cerebellar dysfunction), and feeling sick. Vomiting, the hallmark of “I think I’ve had one too many” is triggered to get rid of your toxic, poisonous level of alcohol now achieved. Thank your stomach for this, whose lining has become too sharply irritated by the alcohol and on sending electrical signals to your vomiting centre in your brain, contracts sharply to produce a vomit. 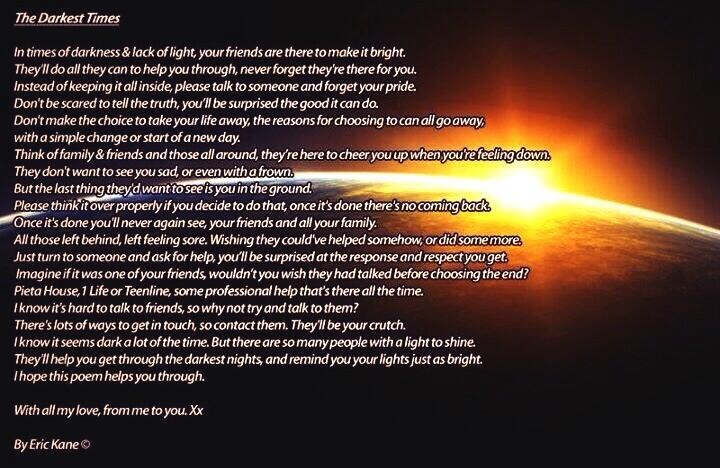 So you have survived the night………. Now fast forward 5 years, 10 years, even 30 years. Chronic, excessive alcohol consumption can affect nearly every single organ in your body – often as a result of imbalance between how much fat you deposit and how much fat you metabolise from energy dense alcohol. Your liver bears the brunt of this, slowly and insidiously sliding along a progressive spectrum of hepatic steatosis (where fat from alcohol deposits in the liver cells), alcoholic hepatitis and finally alcoholic cirrhosis. This detailed piece of article or few paragraphs that can save you from a few body problems was by Dr Nick Knight who is a junior doctor based in London with a PhD background in human performance. 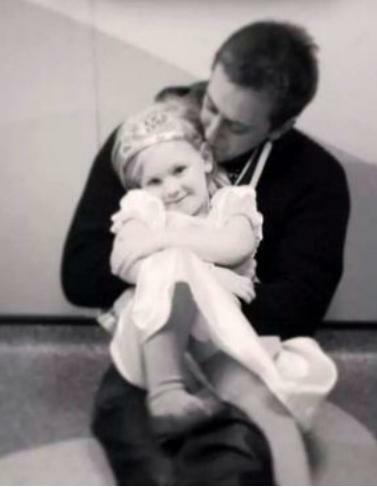 His blog on life as a doctor can be read at: https://drnickknight.wordpress.com/ I will highly recommend his blog it is an interesting read. So my tip – drink with moderation but remember right now it is doing something to your body which may not seem like it is doing much but a few years down the line it will build up more and more and attack you every single day. When something as simple as drawing a breathe is difficult or a few walks up the escalator leaves you aching. Therefore think again now before you take another glass and another shot or another pint how it will feel a few years down the line for you and your body….. I thought that I ought to jot down some thoughts and feelings of how it has been one month on after losing someone close. As I never know someone may stumble on this post and it may give them some comfort knowing others feel the same as them or have been through similar lost. It was never going to be easy to lose someone who has always been a part of my life so suddenly without being able to say goodbye properly. On some level it has felt like a part of me has been ripped out. The funeral was by far one of the hardest and most heart breaking experiences of my life. Till this day I have been unable to talk about it all. Furthermore thoughts or flashbacks of it renders me to get really teary. For the past month I have had vivid dreams associated to my grandma which makes me feel a degree of closeness to her but ironically reminds me of the real distance……… that she is no longer on this Earth. I cannot begin to put into words the horrible feelings I have often felt knowing that I will never be able to see, hug or talk to her ever again. 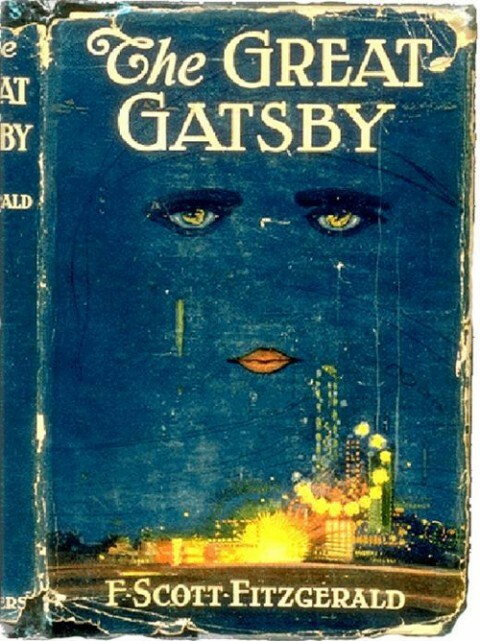 To try to go on with my life and move forward at times seemed somewhat wrong. Often I still unexpectedly get hit by a rush of sorrow and sadness which can attack me at anytime or place leaving me feeling a void of pain. As it is like something inside me had broke then fallen off. Something irreplaceable. Lately I find myself having to search deep inside myself for so much that I didn’t realised I had: strength and understanding but levels that I had never used or even knew existed. But I questioned whether they would be enough. As I pondered further I realised that within me there will always be a part of me which holds my grandma, the lessons I learned from her, the memories, even parts of my blood, thus she will continue to live on inside me. Realising this makes things flow a bit easier but I am very aware that there will be times when I will still get hit by a sense of lost or sorrow but this will hopefully not outweigh the thoughts and memories.